Hey everyone, i’ll hit the road with The Ocean Collective again from next week on. We’re playing shows in Singapore, New Zealand und Australia. We have also announced a bunch of dates in Scandinavia recently. 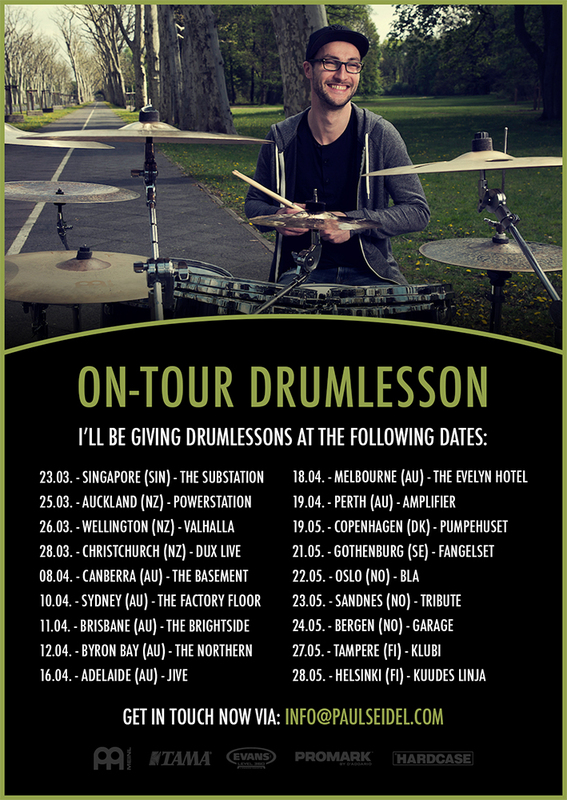 As always, i want to use the chance to offer exclusive on-tour drumlessons in a city near you. I’ve given lessons on the road a couple of times now and hope to be able to inspire and help on one or the other drummer. If you’re keen and interested, then just get in touch via info@paulseidel.com or check out my facebook page for more information.